Beautiful floors and surfaces start here. Installation. Restoration. Protection. Care Products. From installing your new flooring or countertops, to restoring your existing ones to look as good as new, our very experienced and qualified team knows what it takes to make your surfaces look great and help you keep them looking that way. We’re here to make your floors and surfaces say Wow! We offer precision installation of every kind of tile imaginable, hardwood floors, granite and other natural stone, and even carpet. From minor repairs and maintenance to complete restoration, you can always count on us to provide expert services. Our high-quality cleaning solutions help you preserve the life and beauty of your floors, countertops, and other surfaces. Our very experienced and qualified team knows what it takes to make your surfaces look great. Watch this video to hear first-hand what one happy customer has to say about their experience with Beyond Stone Solutions. Are you sick and tired of dirty-looking grout lines? Do your grout lines look okay, but you want to give your floor a fresh, different look? With our DIY Grout Color Sealing package, you have everything you need to do your own grout color sealing. We now offer installation of stone, wood, tile and carpet. Watch this video to learn more about this service and hear what one couple had to say about their experience with us. When marble becomes dull, scratched, etched or otherwise damaged, it doesn’t have to be replaced. This video explains how the to restore with professional stone restoration. 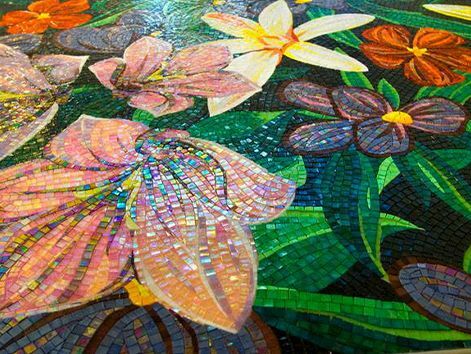 GROUT COLOR SEALING Grout color sealing is all the rage and for good reason — the benefits are incredible. This video explains this valuable service. 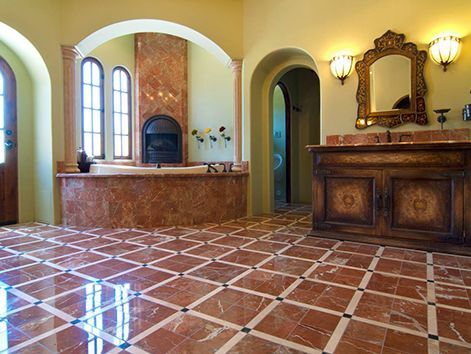 Contact us or give us a call today at (602) 993-9800 to discuss your grout color sealing needs. Our commitment to quality and excellence beyond expectations is what has been driving us for over 40 years. The finest builders, designers, and stone distributors in Arizona have trusted us with their natural stone finishing and preservation. Beyond Stone Solutions’ legacy is to provide personal consulting, services, products, and do-it-yourself information for homeowners. Every job is treated with individual attention and 100% complete customer satisfaction. Read what our clients and customers say about our service. Then let us know how we can help you. We are remodeling and had a questionable contractor do a very poor job on our porcelain wood-look tile floor. Thought we would just have to live with it. Then we were told about Beyond Stone Solutions. Their wonderful crew just left our home. We now have the beautiful floors we dreamed about. They got scratches out of our marble vanities that the contractor caused. Our granite is sealed and looks so beautiful. Don't live with a poor install - use Beyond Stone Solutions to give you what you always planned for your home. Thank you all.